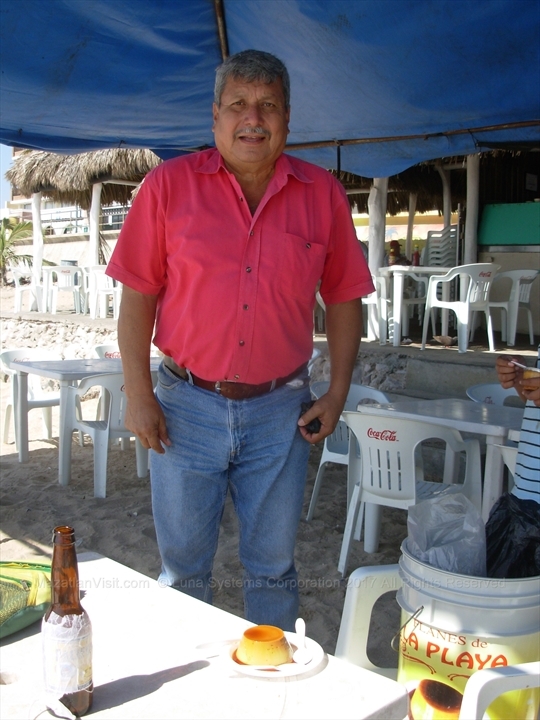 Luis can usually be found in the afternoons selling flan out of a bucket at the beachfront Restaurants in front of the Malecon. Flan is like a pudding and his flan is awesome! His wife makes it early in the morning and he sells it in the afternoon. The 2019 price is 25 pesos each which is very reasonable. He has about 3 or 4 delicious flavours. If you see him, you must try his flan!